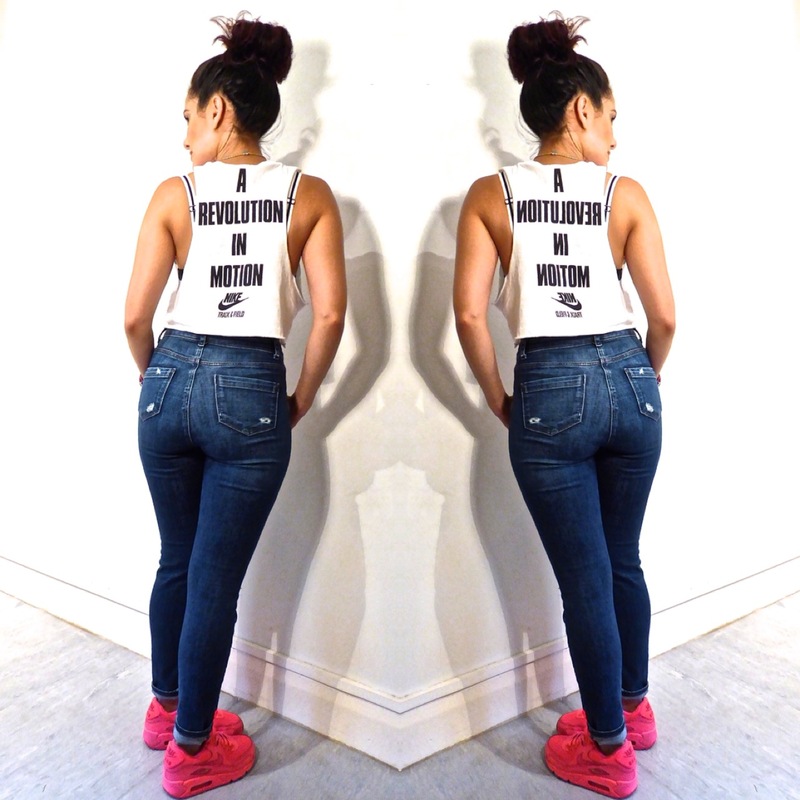 I have been absolutely obsessed with these jeans and crop top recently. So it’s only right that my first outfit post should include them both! 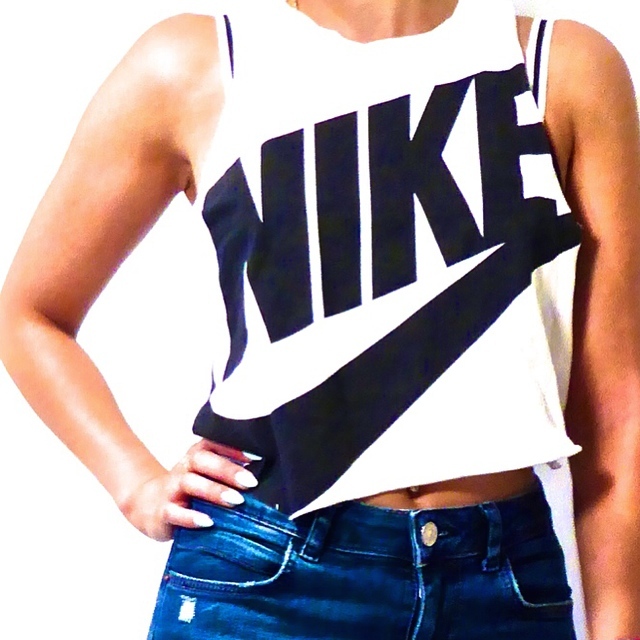 As soon as I saw this Nike crop top hanging in Urban Outfitters I knew that I had to have it. Yes, I initially reluctantly handed it back to the Urban team after trying it on, only to rush back to get it as soon as I got paid the following week. My motto is if it stays on your mind, it must be yours… That tends to get me into a lot of trouble – OOPS! I found this piece in the fitness section. However I had zero intention on working out in it or working out at all for that matter. I am simply just addicted to crop tops. With its deep drop armhole detail and big logo I just couldn’t resist. I have had so much wear out of it this summer with shorts, high waisted jeans and these ripped jeans. Definitely a purchase that I don’t regret! I got these Topshop Ripped Jeans last Summer and have basically lived in them ever since. The fit, the wash, the rips – absolute perfection in a jean. 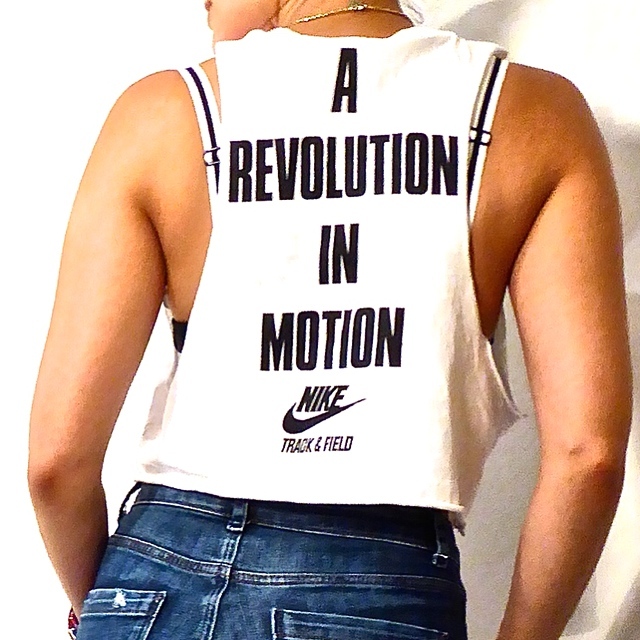 Bravo Topshop. They sit just at the right place around the hips to be paired with this crop so as not to show too much midriff. Of course the rips get bigger every time I put them on. Everyone sticks their foot through the holes right? It’s no secret that I have a weak spot for Nike Air Max. I live in them. They are honestly the most comfortable trainers I have ever worn. 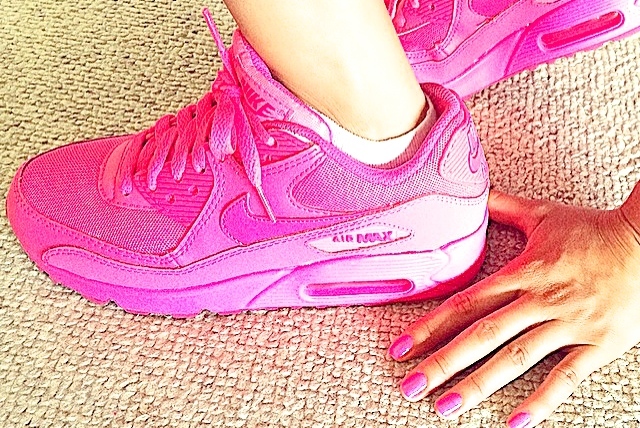 And I’ve owned a lot of trainers… These are my favourite pair – bright pink and not for the faint hearted. I am a bit precious about them so I save them for special occasions. Yes I am one of those people! What have you been living in this Summer?